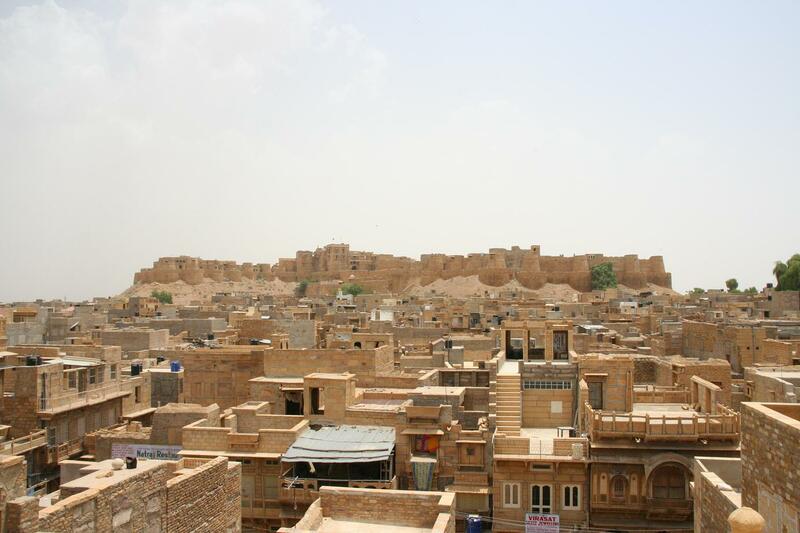 The history of Jaisalmer, at the western end of all indian roads, and quite close again to the pakistani border, is at least curious. Time ago this dusty town in the middle of the desert was part of an important commercial route between India and western areas. Thanks to that, it evolved quickly and many traders got rich during that period and start building luxurious and magical palaces and havelis around the city. 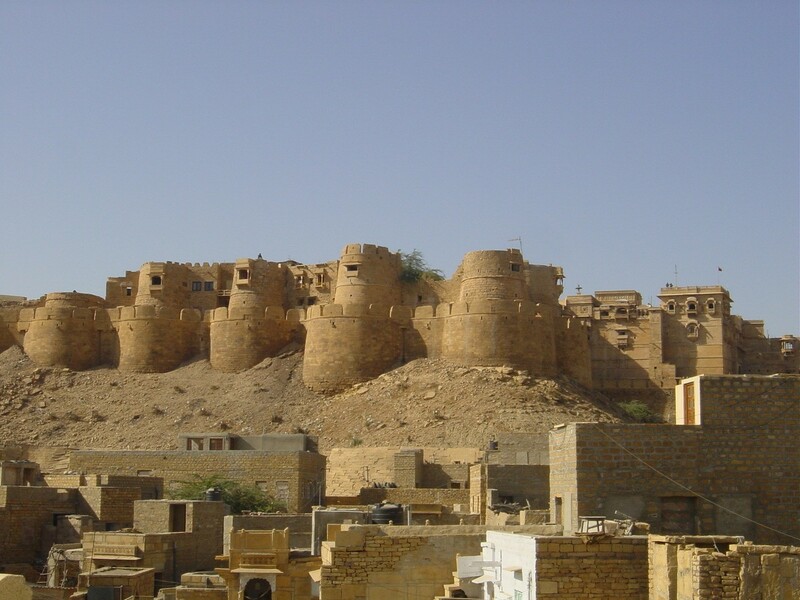 WIth the years, with the partition between India and Pakistan and the closing of the border, the prefernce for sea trade, and with the construction of roads and railways that were going to become the main routes to be used for the new international land trade, the option of going through the Thar desert was dismissed, and the city of Jaisalmer found itself laying in the middle of nothing, and without a consistent income source, for quite a few decades. Some time later, and this is not a long time ago, somebody rediscovered the city and its undoubt charms, and decided to pull it as a tourist destination. And this is how it is today. People travels hundreds and hundreds of kilometers to come specially here, to see the sun fall over the sandstone fort, still inhabited, and admire its untouched havelis and unique atmosphere. For all that, and because this city, of just 78.000 inhabitants, feels like having a special aura, we have decided to make it the longest stop of the whole of our trip, staying here for 5 days. We expect not to be traited by its intuition, and what this charming city has to offer will fulfill the expectatives. Also the hotel where we will stay is the highlight of our trip, where generally speaking we have chosen cheap and simple. This time, and thanks to the many recommendations that we have read, we have chosen the Hotel Fifu, which looks impressive and offers us a good quantity of extras, including free cooking classes. 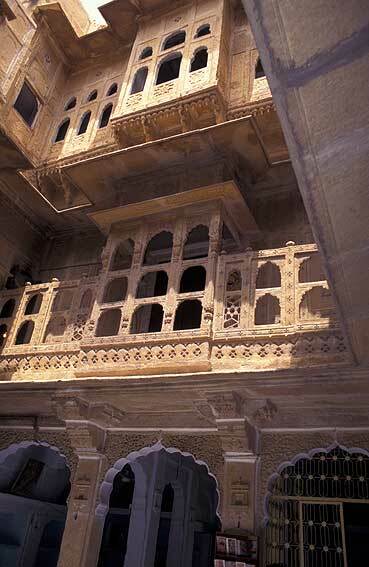 In many places, people say that the thing to do in Jaisalmer is to sleep in one of the restored havelis inside the fort. However, the draining and water supplying system of the old city is not ready to handle properly a lot of activity, and it damages the sandstone structure of the whole area irreversibly. That said, and to be ecologically conscious, we have decided to stay outside. With gorgeous views, that's also true! 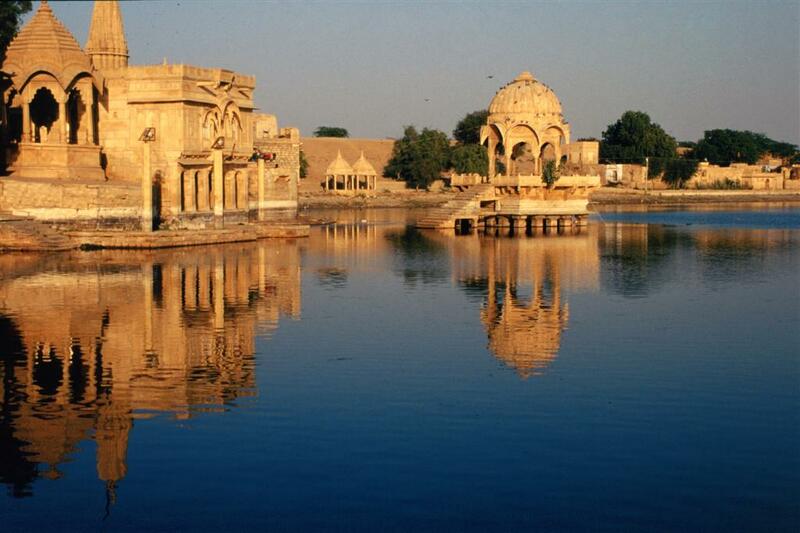 We will have been out of Bikaner at 23.25, with a train that will reach Jaisalmer, comfortably, at 6.15. We will be here 5 full days, and our next transport is a train destination Jodhpur, that departs at 23.15 on the 21st of december. By the way, we spent the summer solstice in the Lofoten Islands, over the arctic circle, and we will spend the winter one here, that's not anything particular geographically, but it is an equally special place.